When will I get my order? : Production: 3 business days. Shipping timing is additional. Ground 3 - 7 business days. Overnight - next business day. 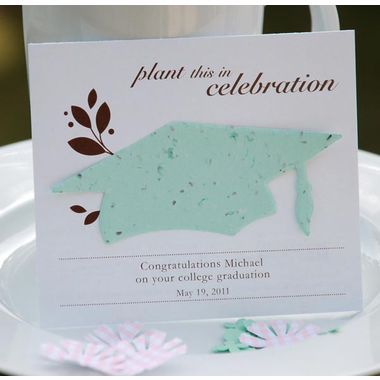 Our plantable graduation favor cards provide your honored guests with a blooming memento of the special event. 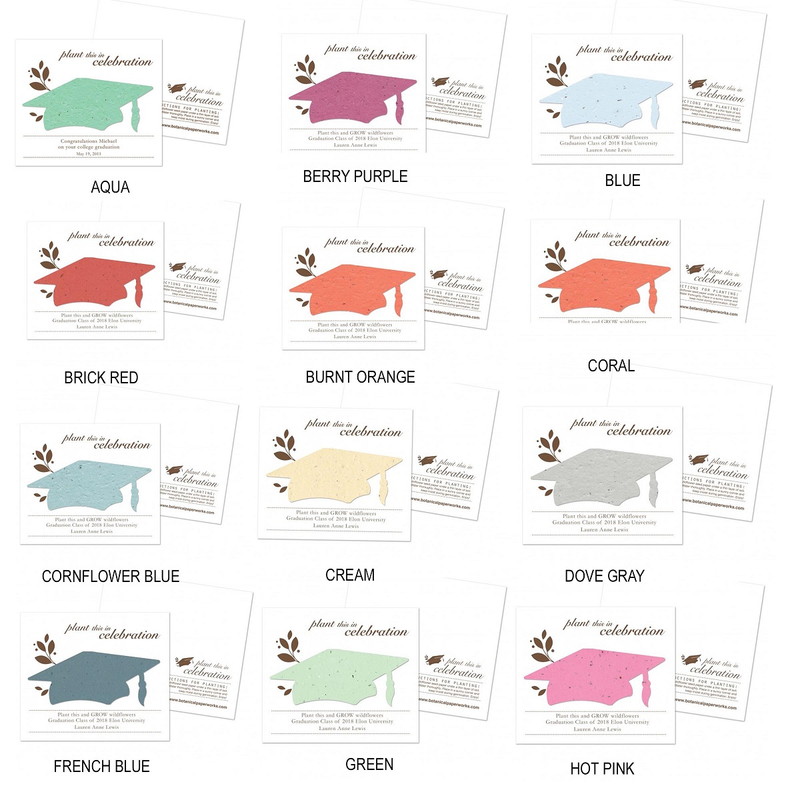 The plantable graduation cap is embedded with an exclusive blend of annual and perennial wildflower seeds and will grow when planted. The words "plant this in celebration" are printed on the top of the cards. Your message and a date is displayed on the bottom. 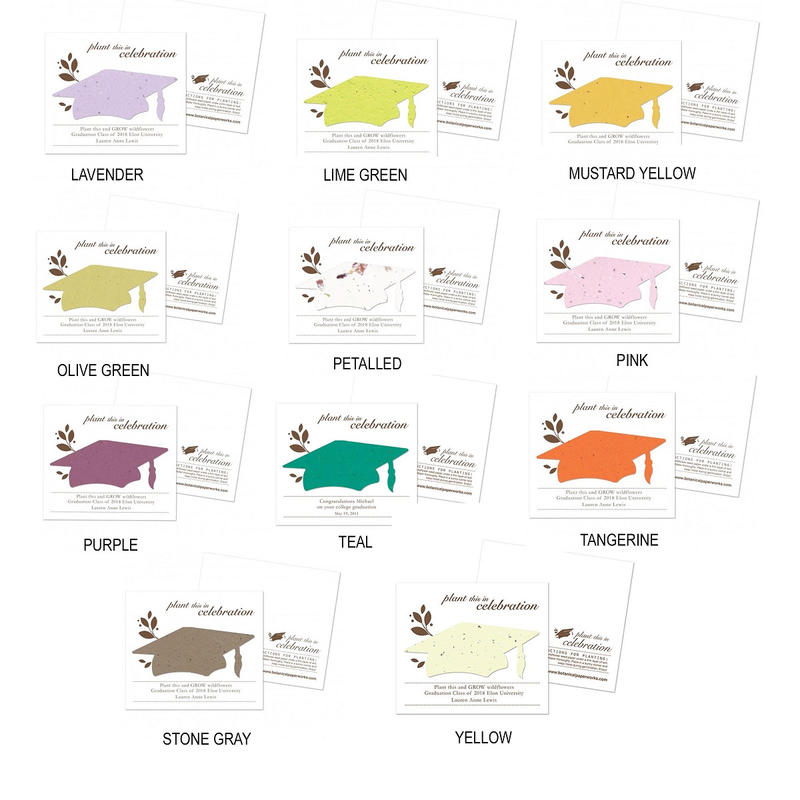 Card measures 4 1/4 x 3 1/2 inches.